Apple is currently finalizing the 2011 version of its iPhone and no project leading to a variation of smaller size is on the menu. For several reasons: it would be impractical to handle, it would add an additional profile to handle for application developers and its cost would not necessarily reduced. 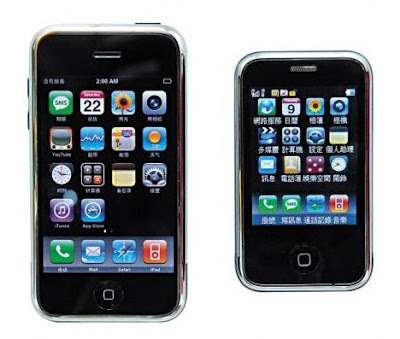 Other information obtained by The New York Times, however, corroborate some tracks in the Wall Street Journal, which had revived the hypothesis of an iPhone mini (read New rumor of an iPhone "nano" and a free MobileMe). Thus the improvement of navigation on the iPhone for voice who wants to avoid as much as possible the keyboard. Without changing the format of its iPhone, Apple could change some of its components, whether the memory capacity or quality of the camera, to offer a less expensive model explains a person who worked on multiple versions of this model. The New York Times also mentions the possibility that MobileMe becomes free and it hosts music with other types of files. A MobileMe available to all and most versatile of the coup that could justify a smaller storage capacity on some iPhone.